Mala is the bead or a set of beads commonly worn by Hindus and Buddhists to keep count while they are repeating a mantra. 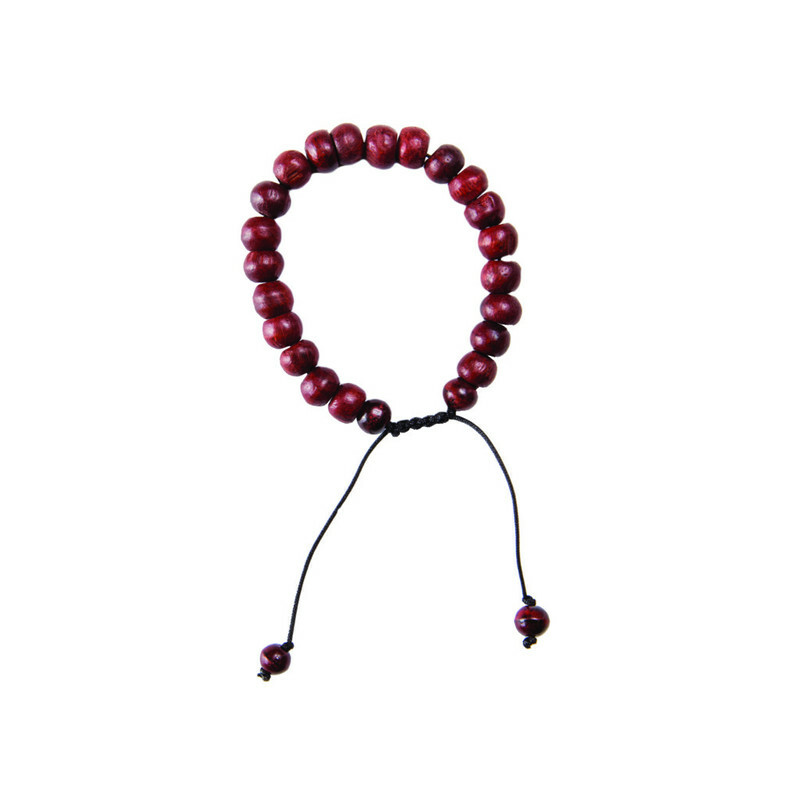 This wooden bead bracelet is inspired by these traditional meditation and prayer beads. Hand made from toom wood by Nepalese women, the bracelet is adjustable to fit over your hand and available in a choice of three natural colours.